Whether it is for yourself or sending it as a gift, this beautifully packaged Gluten-free Hamper is sure to impress. 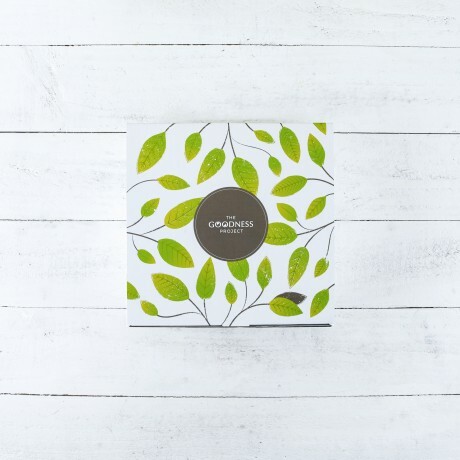 Gluten-free crackers, oat granola crisp, delicious snack bars and chocolates are jam-packed in this beautiful gift box - great gift, not just for coeliacs! All items are suitable for vegetarians and are gluten-free. 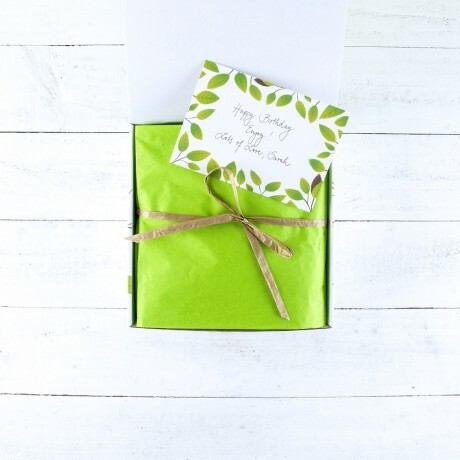 Presented in a branded 100% recycled eco-friendly box, wrapped in lovely tissue paper with ribbon.Don't forget to add your FREE GIFT MESSAGE. The Goodness Project does their best to hold all items in stock, but on RARE occasions the hamper contents may change, as certain contents can be restricted due to market availability. If they run out of a specific item from a hamper then they will do their best to replace with a similar item of equal or higher value. This was a gift for my father. He adored it and loved all the flavours. He probably would of liked the bars to be a bit bigger :) beautifully packaged and presented, very prompt service, will definitely use you again. Thank you for sending a delicious hamper to my vegans son. My niece was delighted with her little surprise snack package - especially the sustainable wrapping! I was really impressed with the speedy delivery and helpful service. Thank you! My sister absolutely loved this gift! My sister absolutely loved this gift! The box was so nicely presented and the hand written card was such a great touch. I can only hope she buys me one for my birthday! My friend was delighted with the contents of this hamper. My friend was delighted with the contents of this hamper. I did not actually see the contents but he said it had really nice things in it, things he had not tried before. Would order from you again and recommend you to others. Thank you. Thank you so so much! I was the most awkward customer ever.......wanted an original valentine present for my girlfriend but wanted this particular box instead of the specific valentine box they did. Called up and they were happy to help, changing the packaging etc. I also wanted it delivered on valentines day, to her work, before a certain time....... Which usually they don't do....... Again, extremely helpful and sorted everything out for me! Delivered on time, looking fab...... And my girlfriend is super happy...... Enough vegan chocolate for a year!! bought this as gift for my vegan daughter and son in law - all arrived safely and looks amazing. 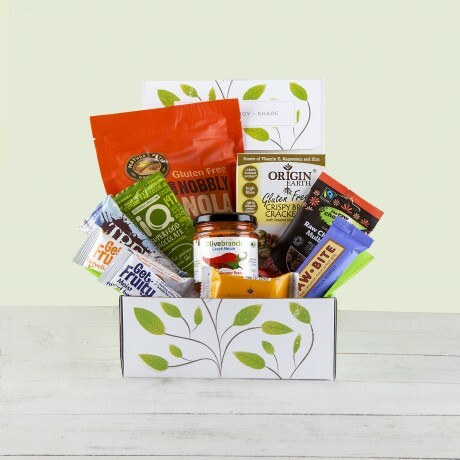 Carefully curated gift hampers and boxes filled with wholesome, vegan and gluten-free goodies.